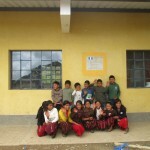 Last year we did a giveaway fundraiser to build a school in Guatemala. July 4th will be WPBeginner’s 5th birthday, and we’re planning on doing another spectacular giveaway with a goal to build 2 schools. I would like to invite you for a chance to give back while getting maximum exposure for your business on WPBeginner. There are 3 level of sponsorship opportunities. Why You Should Sponsor This Giveaway? At WPBeginner, we’re committed to giving back to the WordPress community. By participating in this giveaway, you not only contribute to this worthy cause, but you get maximum exposure on WPBeginner. 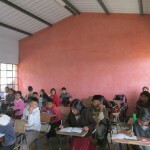 WPBeginner works with Pencils of Promise, a 501(c)(3) organization, to help bring education to kids in remote locations. 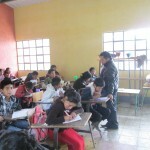 They have helped educate over 28,310 students since they first started. Pencils of Promise works with the local government and teachers to ensure the long-term sustainability of education in these areas. A small $25 donation educates a child for one year. A single school costs $25,000. 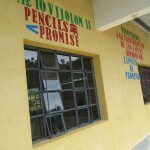 The preschool/primary school that we built last year has 12 classrooms and serves 316 students. If WPBeginner or I have ever helped you, then please consider supporting this cause. P.S. I will match every $ donated up to $25,000.